As an entrepreneur, it can be hard to describe exactly what you do to other adults, much less to your kids. We learned that the best way to explain what we do is by teaching the young ones how they can be entrepreneurs themselves. We set out to author our own book to teach children between the ages of 6 and 12 years old the same principles we had been teaching adults for years -- the book we wished we had as kids. 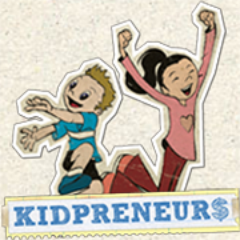 Kidpreneurs was born -- a book that stokes a child’s desire to get involved in business early by fueling their curiosity in simple, engaging, creative and safe ways. Our goal with Kidpreneurs was to outline some basic tools and strategies kids can use to gain some valuable experience in starting, managing and growing a successful business venture. Check out the infographic below for five simple steps you can take to help teach your kids, however young, about the building blocks of discipline, structure and planning that build a foundation of entrepreneurship. With these steps you can show your kids what it takes to be entrepreneurs, or as we like to call them, kidpreneurs. Some say it’s never too late. We say it’s never too early!